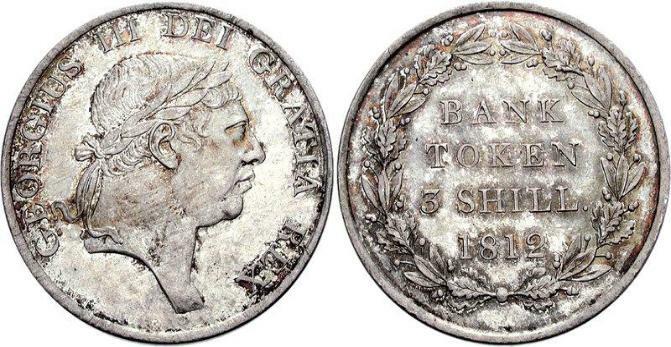 used and bridged a gap until the great re-coinage of 1816. 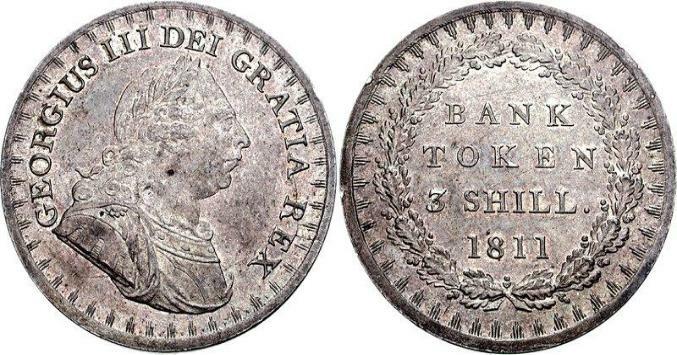 There were two different obverse busts used on these tokens. The first was the military type and the second the laureate type. 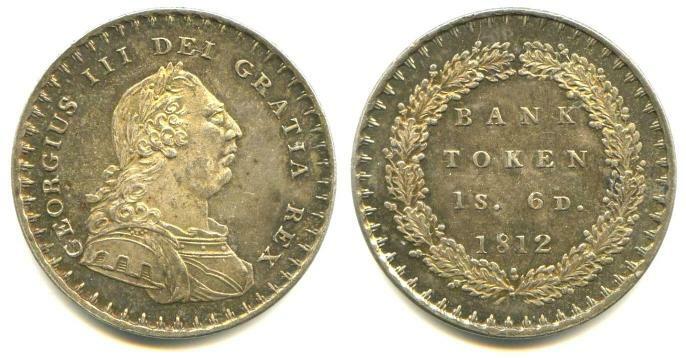 1811-1816 1s & 6d Silver, 7.2 grams, 26mm Diameter. 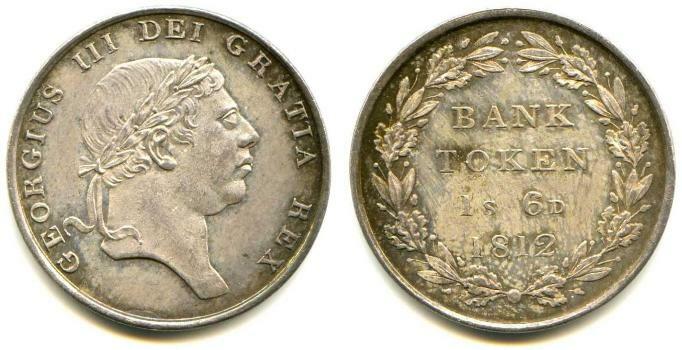 1811-1816 3s Silver, 15.2 grams, 35mm Diameter.